When award-winning science writer and experimental psychologist Maria Konnikova decided to take up poker a few years ago, she started from scratch. "I had no idea how many cards were in a deck," remarked the 34-year-old at SXSW EDU in Austin this past month. But within a year, Konnikova had amassed over $200,000 in winnings from poker tournaments, beating some of the best players in the world – and unlocking some of the mysteries of how we learn along the way. 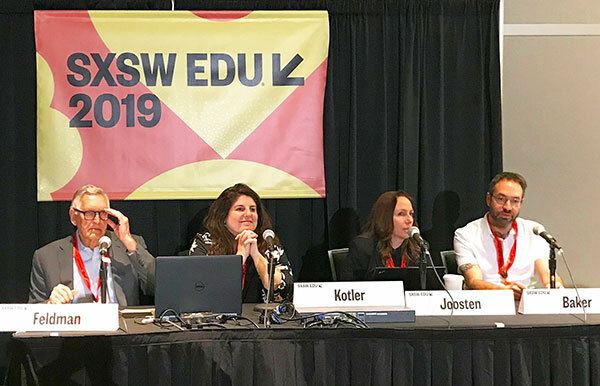 Konnikova revealed some of her secrets to maximizing learning at this year's SXSW EDU, where several speakers shared her passion for exploring how the brain works to improve teaching. Read on for some of their best advice on how to open the mind to master a new skill, both inside the classroom and out. Find the right motivation. To maximize learning, Konnikova advised attendees to put more effort into learning that's prompted by internal motivation – an inherent desire to better yourself – rather than external incentives like a physical reward. Learners who are motivated externally, like a child who is rewarded with candy every time they complete a task, will lose interest when the reward shifts. Keep your emotions in check. Several SXSW EDU speakers noted the importance of being able to self-regulate your emotions to create the optimal environment for your brain to take in and process information. In a panel featuring several members of McGraw-Hill's Learning Science Advisory Board, Sesame Workshop's Jennifer Kotler reinforced the power of self-regulation by citing Walter Mischel's now-famous marshmallow experiment, where children who were able to delay gratification became better students later in life. Distance yourself. The ability to control your emotions also came up in Konnikova's talk, where she let the audience in on a secret that she often uses to mentally remove herself from situations where emotions may start to cloud her judgement and stifle learning. She advised attendees to "visualize yourself as a fly on the wall" and to "look down on an emotionally-charged situation from above." This allows you to distance yourself from what is happening in order to see and understand things more clearly. Confusion can be a good thing. During the learning science discussion, University of Pennsylvania's, Ryan Baker, pointed out that confusion when learning something new is not necessarily a bad thing. What matters is how long the confusion lasts, rather than how much a learner may be confused when faced with a challenge. Baker advised educators to "create" confusion by giving students the chance to struggle with intentionally problematic scenarios – which will often give them the opportunity to break through and find the right solution. Space out your learning. Cramming only helps one learn in the short-term, added Baker. If you don't space out your learning over time, you're more likely to forget it a few days later. Kotler agreed, advocating for teaching shorter "chunks" of content over a longer period, checking in on students frequently to understand their progress, rather than relying on one assessment at the end of the year, or a course to measure success. Look at all the facts. Konnikova also reinforced the value of looking back in her discussion of the "recency bias," and why most people tend to forget things that have occurred in the immediate past. To evaluate situations properly, we must look at all of the information in totality before jumping to a conclusion. Remember that the path to success is not always linear. Last but not least, Richard Buery of the KIPP Foundation shared a powerful reminder to help reset our expectations about the definition of "success." The road to a "self-sufficient and choice-filled life" is often paved with many stops and starts – and we must embrace every opportunity to learn along the way. Regardless of who you are – student, educator, or an experimental psychologist who plays poker really well – there's always more to learn about learning. To discover more about the way we learn, visit our Learning Science page.